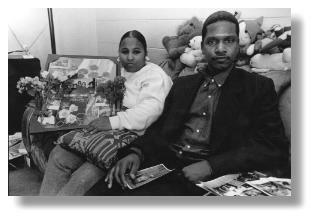 Life stopped for Joanne and Jerry Nicholas at 10:30 a.m. on July 27, 1993. Investigators from the Illinois Department of Children and Family Services knocked on their door and took away their six children, ages 1 year to 7 years. A recent visit found the couple sitting in their home, contemplating their loss. Their three-bedroom house, once full of activity, is now silent. “I felt helpless. I felt like they had a gun on me,” said Jerry Nicholas, 32. Though they feel victimized, the Nicholases are not unblemished. They have had marital problems, and Jerry Nicholas was charged with domestic battery in 1990 and 1991. Case files show the children were removed from their home because they were at “substantial risk of physical injury,” and investigators later found evidence of physical and sexual abuse, though some of it was conflicting. Jerry Nicholas had threatened to kill himself and his children, an investigator reported. The Nicholases deny the charges, and say they have done what the state asked of them, including counseling and parenting classes. But it was never enough, they said. On Sept. 11, the couple’s worst fears came true. Cook County Circuit Court Judge Carol Pearce McCarthy terminated their parental rights. 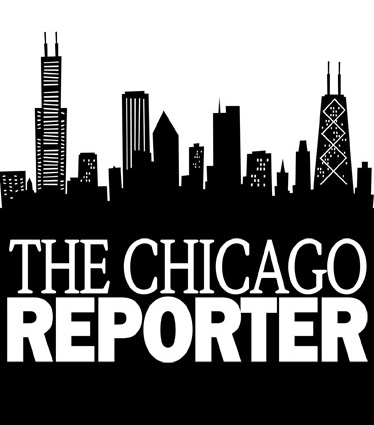 In Cook County, 9,164 parents lost permanent custody of their children between 1993 and 1997, show records obtained from the Cook County State’s Attorney’s Office and analyzed by The Chicago Reporter. County prosecutors filed 5,990 petitions for termination in 1997, a nearly fivefold increase from 1993. Terminations grew from 958 to 3,743 in that period, meaning that three out of every five cases ended with parents losing custody. Through an examination of court records, DCFS documents and police reports, the Reporter assessed the termination process in Cook County. Staff instructor Linda Bell teaches mothers like Tahira Muhammad, 23, how to be better parents through parenting classes in a unique residential program at an Abraham Lincoln Centre site at 1649 E. 50th St. (Photo by Olga Yolanda Lopez)] Olison, 37, lost custody of her newborn in 1996 when the hospital reported to DCFS that he was born with cocaine in his system. Olison’s two other children were already living with relatives. After her mother refused to take custody of Baby T, Olison, an African American, decided to kick her nearly 20-year habit with drugs and alcohol. t that point, the state’s goal was not to reunify Baby T with his mother but to find the child a permanent home, said DCFS Deputy Chief of Communications Maureen Squires. An agency hired by DCFS described Olison as “rageful,” and a caseworker testified that Olison once failed to stop her 6-year-old from going head first down a slide, and fed Baby T a Cheeto at 13 months. Kane County Circuit Court Associate Judge Judith M. Brawka was assigned the case because Olison argued she could not get a fair hearing in Cook, where Anne Burke presides. On Nov. 4 Brawka threw out the report, ruling that the state failed to prove that Olison is an unfit mother. Without termination statistics by region, it’s difficult to assess claims that DCFS is unfair to poor, African American parents. But a look at other areas of the child welfare system suggest that predominantly minority areas of Chicago and Cook County stand apart from the rest of the state. Between 1994 and 1997, an average of 27,017 children per year were under DCFS supervision in counties outside the Chicago metropolitan area. Nearly seven out of every 10 children were allowed to stay with their parents while receiving DCFS services, the Reporter found. In Chicago, however, an average of 51,299 children were in the DCFS system each year. Only four out of 10 children stayed at home. Children removed from the home live with relatives, in foster homes or under other arrangements. Children in suburban Cook and the collar counties remained at home 50 percent and 60 percent of the time, respectively. But critics say that these families cannot meet DCFS’s high standards. “What’s not taken into account is what you can afford at $4,000 a year versus the $40,000 a year that white people get,” said EvAngel Mama Dee, founder of Yhwh Nation of Obedience, a community-based group at 1940 W. 59th St., which assists families in the DCFS system. Substantial risk of harm, environmental neglect, injurious environment: These technical terms bounced off the walls of Faith Lutheran Church, 8300 S. Sangamon St., in the Auburn Gresham community, at a meeting last fall. “It’s an octopus with its tentacles out. It’s a dismantling of the family. DCFS is creating trauma,” the Rev. Anthony Williams told the Reporter. The South Side minister said he organized the meeting to air concerns about the agency’s intervention in the black community. The evening meeting became heated as parents reflected on losing their children. But Tahira Muhammad, 23, sat silently biting her already ragged nails, tears running down her cheeks. The single mother had just lost her four children, ages 8 months to 6 years, after DCFS determined they were suffering from environmental and medical neglect. They had been living with Muhammad and her parents at the Altgeld Gardens public housing development on the South Side, court records show. On Aug. 18, DCFS investigators and Chicago Housing Authority police came to the family’s four-bedroom home without notice. DCFS “wrongfully” took away her children, according to a petition filed by Muhammad’s attorney, James L. Glass. DCFS removed Muhammad’s children because they were living in unsanitary conditions, and because the agency said one child’s foot was cut by glass, and had not been treated, court records show. But according to hospital records, on Aug. 8 Muhammad took the child to Jackson Park Hospital, 7531 S. Stony Island Ave., where the wound was treated. The family hired attorney Glass, who asked that DCFS pay for Muhammad, a public aid recipient, to be placed into a program for developmentally disabled mothers at the Abraham Lincoln Centre, 1649 E. 50th St.
On Dec. 13, Cook County Juvenile Court Judge Eddie Stephens ordered Muhammad and her children to move into the program’s four-flat. Muhammad now shares the Hyde Park apartment with two other families, and the adults take parenting classes. During a recent visit, Muhammad was reading a Dr. Seuss book to her oldest, talkative daughter. When the children moved in, Muhammad said, she bought them new clothes and toys. In the early 1990s, Illinois children were in foster care from four to five years, compared to the national average of two, said DCFS spokeswoman Ihejirika. The new state law will cut that time significantly. “If you lose a sense of crisis, you lose the ability to galvanize that person around the crisis,” said Loftus of DCFS. “We’ve had in the past, moms entering drug treatment 1 1/2 days before their court hearing, leaving drug treatment three days later and not entering again until the next 18 months. We’ve got to tell people that’s just not going to work.” Since 1994, “we’ve reduced the number of children entering care,” he said. Today, 70 percent of families involved with DCFS have drug problems, especially with crack cocaine, Testa said. Black families in Chicago and suburban Cook post the highest removal rate of children from parents’ homes, the Reporter found. And studies show they have the lowest family reunification rate in Illinois. And while many terminations may be justified, critics say DCFS policy is unfair to African Americans and terminates the rights of parents whose worst problem may be that they are poor. DCFS cannot provide statewide termination figures, making it impossible to evaluate how Cook County fares compared to the rest of the state. But they do report that 95 percent of Chicago children in the DCFS system are black, compared with 83 percent in suburban Cook, 58 percent in the collar counties and 45 percent downstate. Children are often removed because of “substantial risk of harm,” a catch-all category that essentially means poverty, said Maisha Hamilton-Bennett, a psychologist and executive director of the Hamilton Life Institute, a non-profit social service agency at 2100 S. Indiana Ave. And DCFS sometimes fails to distinguish between child neglect and poverty, critics say. “When you have an open-ended definition of neglect, you increase the risk that the child will be taken away for poverty and not neglect,” said John Bowman, project director for the Poverty Law Project, a non-profit whose attorneys work on welfare rights and housing. DCFS officials say that even in cases like the Nicholas family, the state has a duty to try to help reunite families. Still, while the Nicholases did attend some counseling sessions, an independent evaluator determined that they were uncooperative, which prevented them from making progress, said DCFS Chief of Communications Maudlyne Ihejirika. Ultimately, the agency must serve the best interests of children, and can no longer tolerate them languishing in the foster care system, said DCFS Executive Director Joe Loftus. The federal Adoption and Safe Families Act of 1997 required state child welfare agencies to move quickly to find permanent homes for children in substitute care. The Illinois General Assembly passed the Illinois Permanency Initiative, effective in January 1998. Grateful House, a non-profit drug rehabilitation center for women in west suburban Oak Park, gets frequent DCFS referrals. Executive Director Janet Piper Voss said many women regain custody upon completion of the program. A custody battle with DCFS can feel like David vs. Goliath, pitting a low-income single mother against a $1.3 billion child welfare agency, parents say. Some in the black community are beginning to question that relationship. Jornell Holley, 37, is one of them. She lost custody of her 2-month-old last February when she brought him to the hospital for digestive problems. A recovering substance abuser since the fall of 1997, she is allowed supervised visits with the boy. And as termination cases rise, more parents are using the courts to fight to keep their children. In 1993, Cook County judges ended custody rights in 958 cases. But 790, or 82.5 percent, went uncontested, records from the state’s attorney’s office show. In 1997, about 60 percent of 3,821 cases were uncontested. Public Defender Bowden predicts that termination petitions will reach 7,500 in 1999, and he expects actual terminations to double, he said. And white children are more likely to be reunited with their families than African Americans in both Cook County and downstate, according to a May 1998 study by the Children and Family Research Center at the University of Illinois at Urbana-Champaign. In Cook, for example, 46,717 black children were in substitute care between 1990 and 1997. Of those, 36,616 children, or 78.4 percent, were not returned to their parents’ home. By comparison, about 63.9 percent of 4,981 white children in substitute care in Cook County did not go home. All children fare better downstate. One reason: The Cook County court had been inundated with paperwork. The state law reduces from 12 to nine months the time parents have to make “reasonable progress” to correct conditions that led to the removal of their children. If they don’t make enough progress, the state’s attorney can petition the court to terminate parental rights. The federal law allows state’s attorneys to file termination petitions when a child has been in foster care with non-relatives for 15 of the last 22 months. It also permits states to exclude children from that provision if they are placed with relatives currently 56 percent of Illinois children in the DCFS system, said Mark Testa, DCFS research director. While the termination period has shrunk, the cases remain complicated. One pile of documents paints the Nicholases as cooperative, caring parents. Another stack describes a family in turmoil. DCFS officials, prosecutors and judges must evaluate a substantial body of evidence before making a momentous decision. As a practice, DCFS investigators visit homes in response to complaints to the agency’s hot line. If they conclude there is substantial risk, they will remove children and place them in other arrangements. In abuse or neglect cases, DCFS creates service plans, outlining the steps parents must take such as parenting classes or drug rehabilitation to regain custody. Within a year, a permanency hearing determines whether families can be reunited. That system might have failed Tina Olison, who recently took one step closer to winning back her 2-year-old boy, known as “Baby T,” in a widely publicized battle with Chicago Alderman Edward M. Burke (14th) and his wife, Illinois Appellate Court Justice Anne M. Burke. Olison, 37, lost custody of her newborn in 1996 when the hospital reported to DCFS that he was born with cocaine in his system. Olison’s two other children were already living with relatives. After her mother refused to take custody of Baby T, Olison, an African American, decided to kick her nearly 20-year habit with drugs and alcohol. All children fare better downstate. One reason: The Cook County court had been inundated with paperwork. “The practice of having so many court orders for the reunification” had slowed down the system, said Nancy Sidote Salyers, presiding judge of the Child Protection Division of the Circuit Court of Cook County. Several years ago, she instituted reforms to streamline the system, she said. Still, there is a racial gap: 51.8 percent of African American children do not return home, compared to 38.8 percent of whites. Jerry Stermer, executive director of Voices for Illinois Children, an advocacy group, said the new state law helps DCFS stay focused on its most important goal: to find safe and permanent homes for children. “Prior to this law, with no pressures on the system to make a decision, children were left in foster care limbo,” Stermer said. Contributing: Natalie Moore and Karen Shields. Michael Rohner and Terris R. Tiller helped research this article.